At the moment it’s becoming more and more “popular” to mix shoegaze with elements from post-rock and black metal. Best example is the latest record of Deafheaven. To some purists it’s not “true” enough, but others heavily embrace their style. But before we had Deafheaven there was Liturgy who gave us some unconventional black metal to listen to and before Liturgy there was, and still is, Neige’s Alcest. It all started as a black metal band, but soon Neige remained on his own when two of his companions left the band. Neige then wanted to create a maternal chant, hypnotic and unreal like he heard in a fairy land, a land he, as a child, had experiences of being in contact with. With his past few albums, Neige was more than once being misinterpreted by the media. Often people described his music as sinister or dark, but he actually wanted to achieve the opposite. With his fourth studio album, Shelter, Neige lets no room for discussion whether or not his music creates a dark or sinister atmosphere. With almost completely leaving out the (black) metal influences he presents a very beautiful, vulnerable album with dreamy melodies and yet it is an intense shoegaze experience. When listening to this new record, or more while experiencing it, you really get in a peaceful mood and Alcest succeeds in bringing you to that fairy land he wanted to depict. The whole picture is perfect, including the French lyrics. This is a soundtrack to give you hope and lets you see beauty, in whatever form, whenever and wherever you are. But even though there are gorgeous melodies on this album and I love to trade in noise for beauty once a while this piece didn’t have the impact and the overwhelming effect on me like for example Écailles de Lune did have. All in all a great step on a new path, but I do miss the explosive outbreaks now and then. It’s maybe a bit too smooth now. 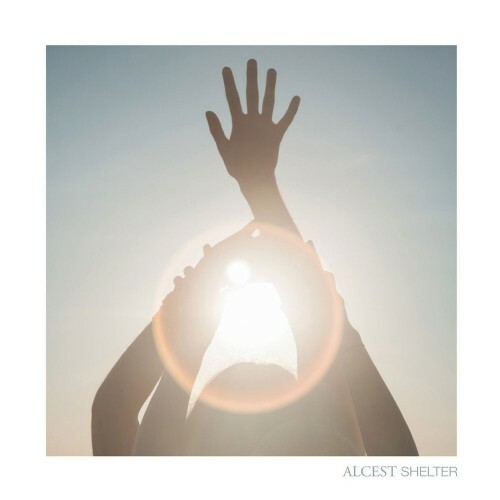 Alcest’s shelter therefore isn’t strong enough to withstand a storm, but when in search for inner peace I can definitely recommend Shelter as a great temporary refuge.